I like the idea of brunch, especially in New York where restaurants have a nice vibe for brunch, outdoor seatings during the summer and a relaxed, yet bustling atmosphere. Unfortunately as a vegetarian their menu is very, and by that I mean very, limited. 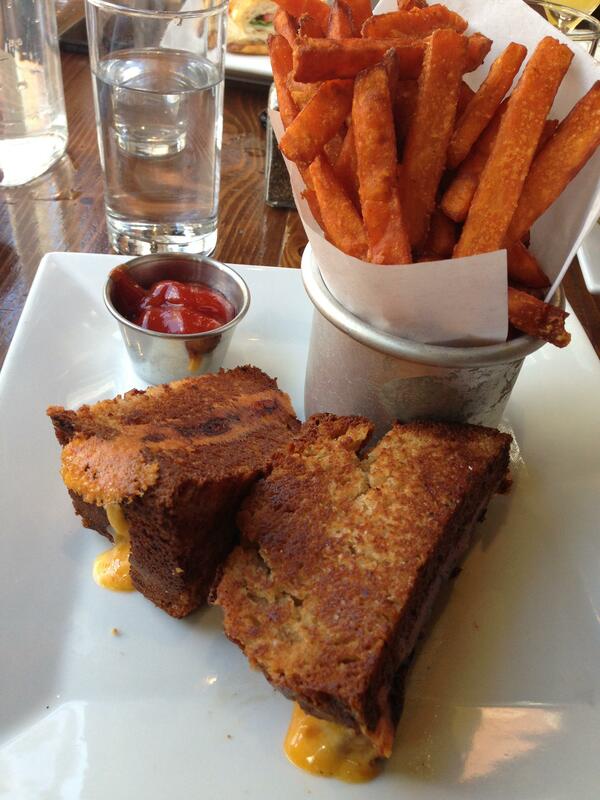 All you can conveniently get at all brunch places is a grilled cheese. Bored of my choices and true to my style of ordering (yes, it’s now a recognized thing), I ordered a grilled cheese but in a banana bread that was another option on their menu. What came was a delicious twist on the regular sandwich; so much so that the server was pleasantly surprised at the outcome.